Dried peas such as split peas are considered pulses, whereas fresh green peas are not. Up to 3-5 daily servings of split peas or other legumes such as lentils and beans, can be an important part of a healthy, whole-food, plant-based diet. The most recent federal dietary guidelines highlight beans and dried peas as unique foods, since they contribute to both protein and vegetable serving goals. 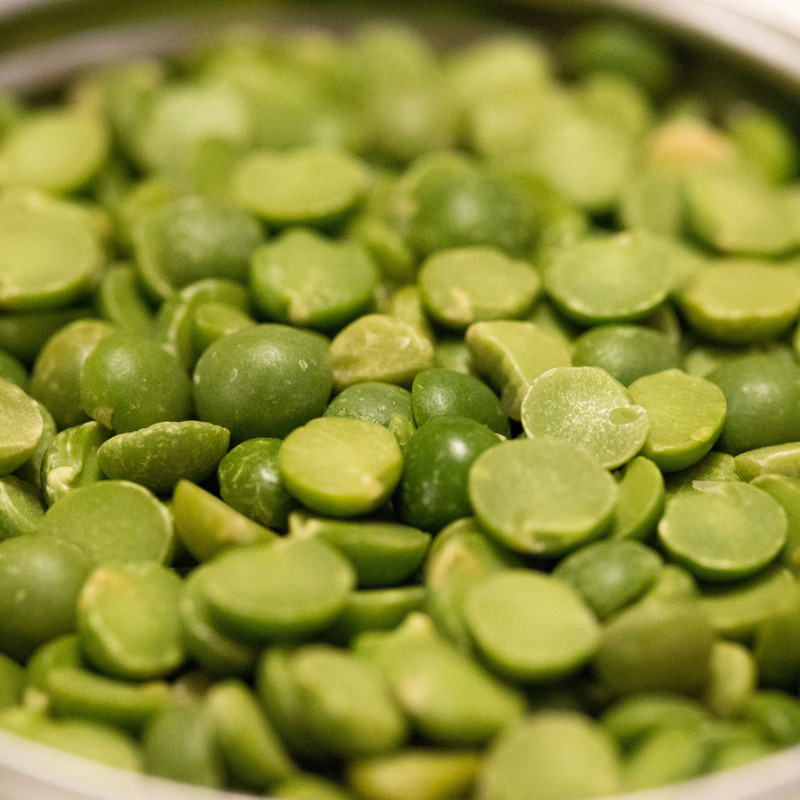 Split peas also provide magnesium and antioxidants. The intake of legumes, including beans, chickpeas, split peas, and lentils, may be the single most important dietary predictor of a long lifespan and can lead to weight loss, improved dental health, protect against skin wrinkles (although green peas may not help with cellulite), improved prostate health, lower inflammation, and a lower risk of breast cancer. You don’t get the same blood sugar spike from eating split peas and other legumes as you would from eating the same amount of carbs in the form of bread, pasta, or potatoes. Diabetics’ regular, long-term intake of pulses may help with blood sugar control. Image Credit: Mack Male / Flickr. This image has been modified.